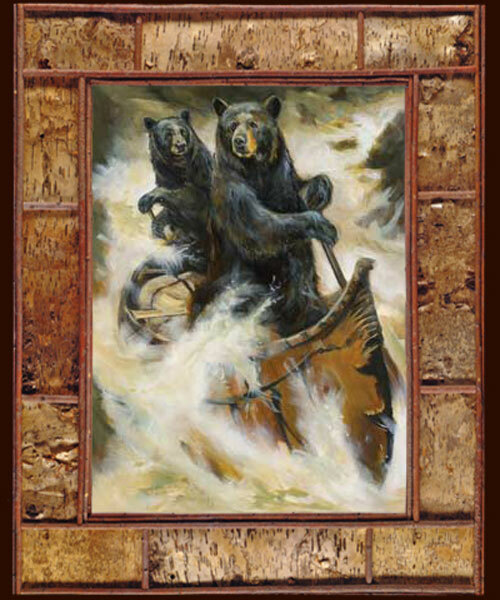 Artist Marilynn Mason captures the bear's adventure in this beautiful giclee on canvas. Framed in refined rustication...birchbark and twig. 30x40"